Here’s my version of the ever-popular wedge scarf, The Wedgie! No sewing, no wrapping and only two ends to weave in-- the start and the finish. 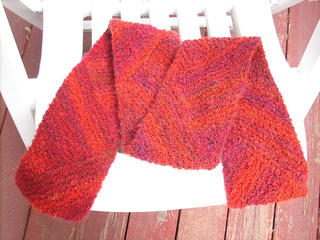 Chose striping or variegated yarn with lots of contrast, for best results.